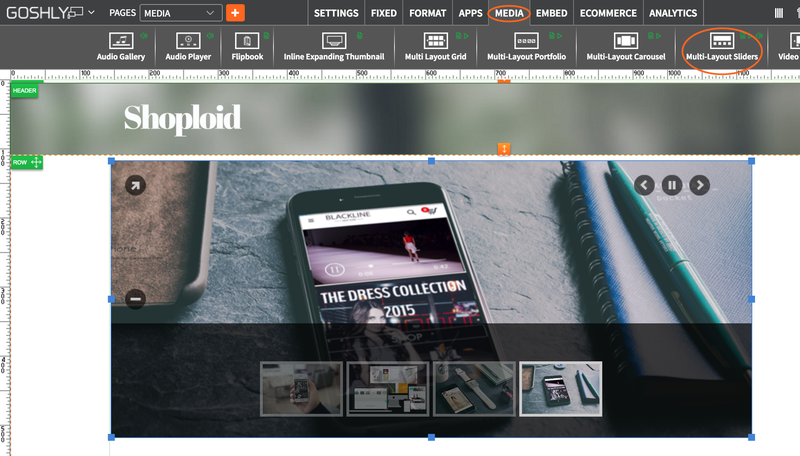 Drag Multi-Layout Sliders widget to an area of the page where you'd like to add it to. 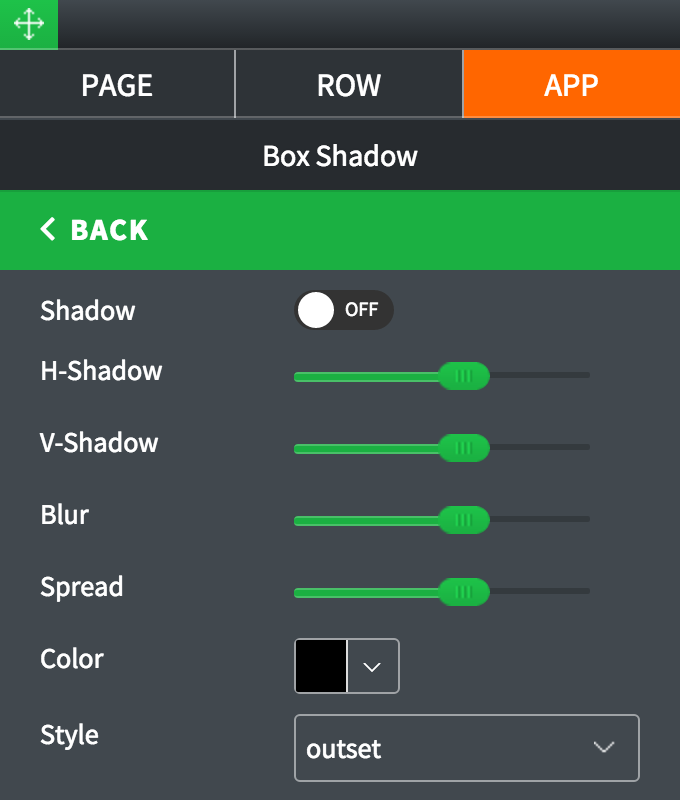 Double-click on Multi-Layout Sliders or highlight it and go to Settings pane > APP. 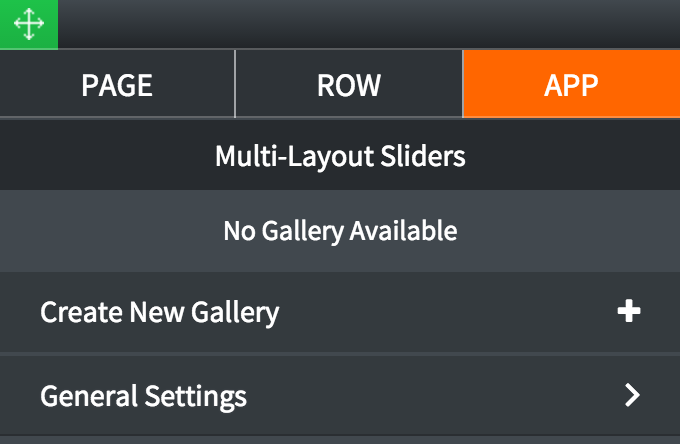 Select Gallery: If any galleries for multi-layout sliders have been previously created, select one from the dropdown list. Create New Gallery: Click to create a new gallery. Gallery Name: Give a new gallery a name. Manage Slides: Click to add slides to the gallery. Upload from Image Gallery: Use the option to choose photos from Image Gallery for the slides. Upload from Computer: Use the option to upload photos from your computer for the slides. 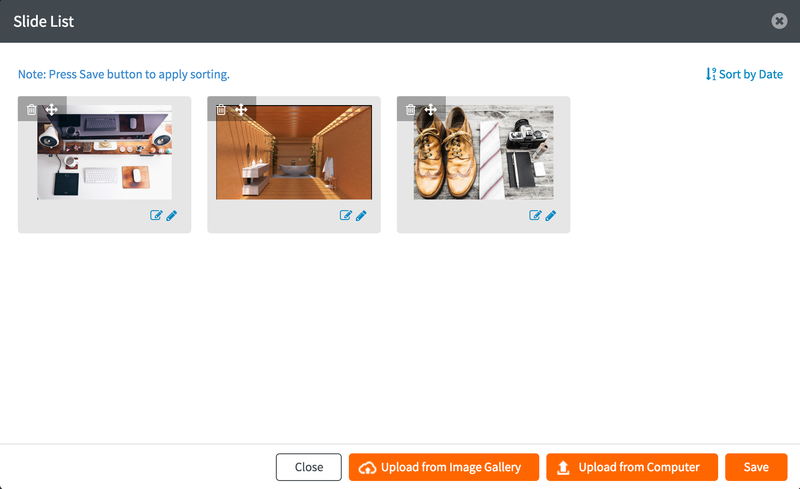 You can drag uploaded photos to re-arrange them, click Edit button to use image editor, or annotate button to add image name, description, and url. Gallery Transition: Select a transition type for the gallery from the dropdown list. 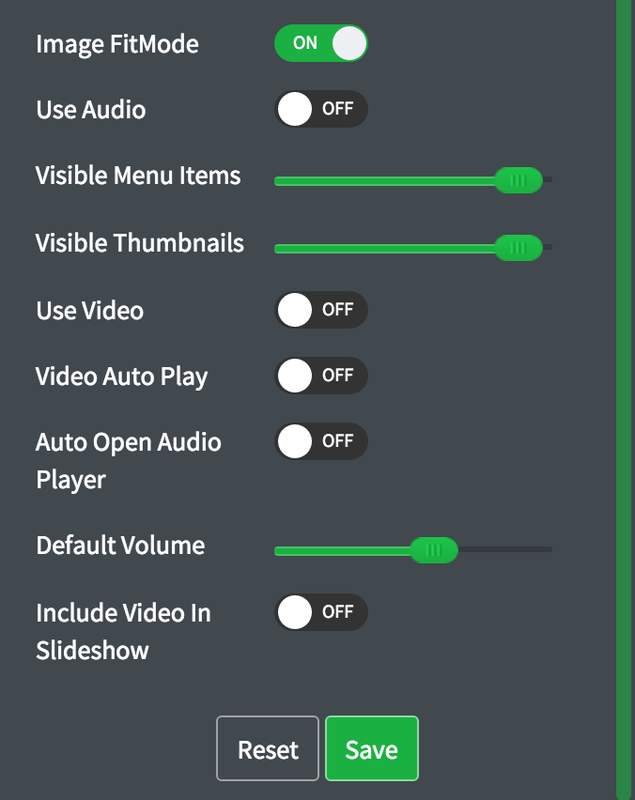 Slide Show: Toggle ON to have slides play automatically. Random Image Play: Toggle ON to shuffle slides when slide show is being played. Auto Open Description: Toggle ON to automatically show description for the slides. 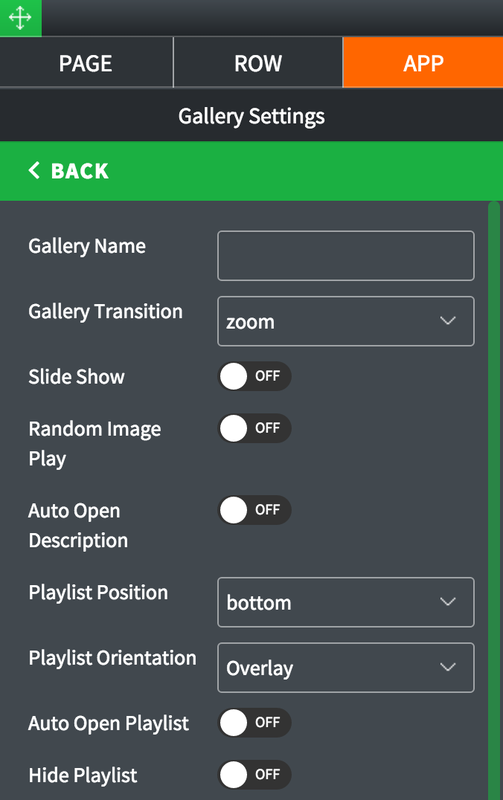 Playlist Position: Choose the position of playlist (slide thumbnails). Playlist Orientation: Choose the orientation for playlist. Auto Open Playlist: Toggle ON to show playlist automatically (does not require user to click a + button). Hide Playlist: Toggle ON to hide playlist entirely. 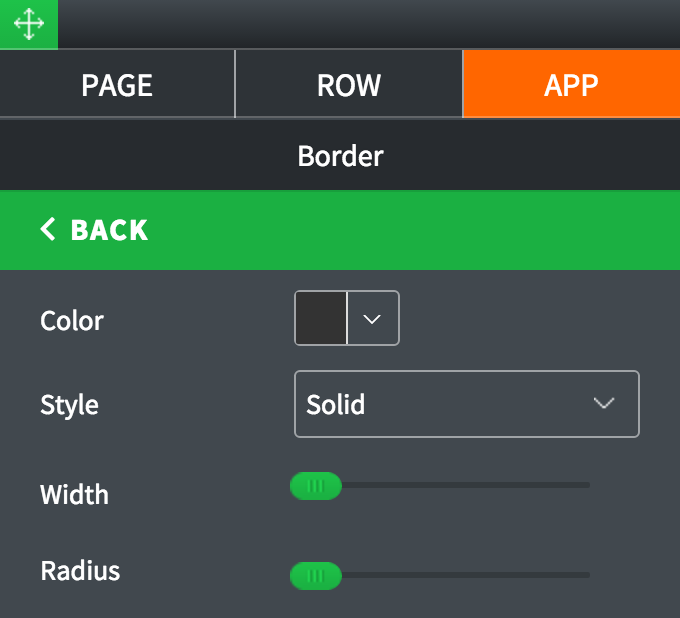 Visible Menu Items: Set the number of visible menu items with the slider. 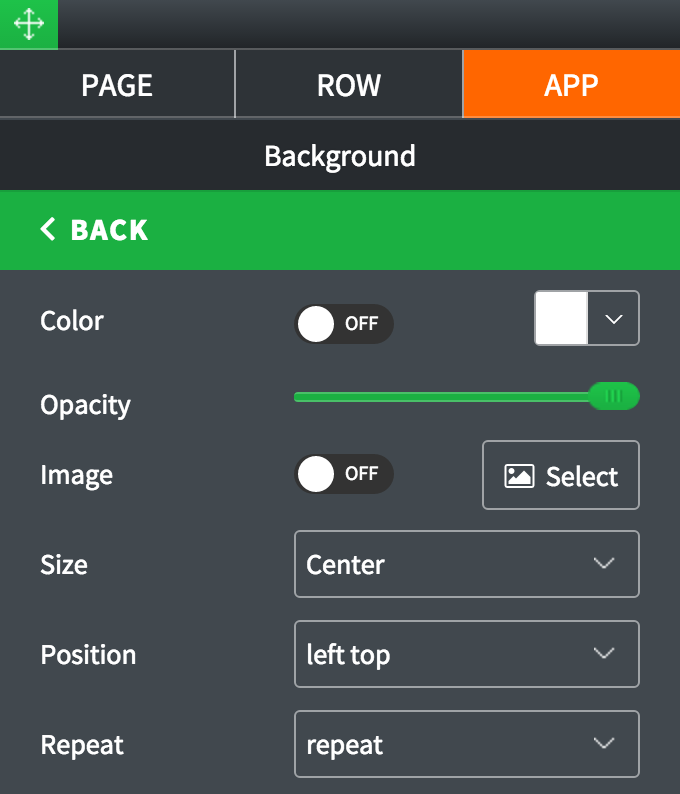 Visible Thumbnails: Set the number of visible thumbnails with the slider. Use Video: Toggle ON to allow video in the gallery. Video Auto Play: Toggle ON to play videos in the gallery automatically. Auto Open Audio Player: Toggle ON to open audio player automatically. Include Video in Slideshow: Toggle ON to include videos if Slide Show is enabled. 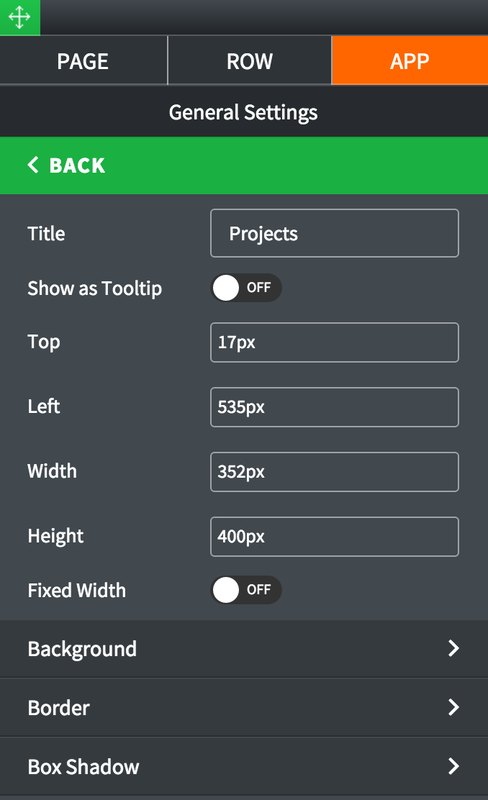 Show as Tooltip: Show the title as tooltip (text that appears when your mouse hovers over the multi-layout grid gallery).